Stanford Advanced Materials (SAM) can provide PSA nitrogen generator used for various applications. 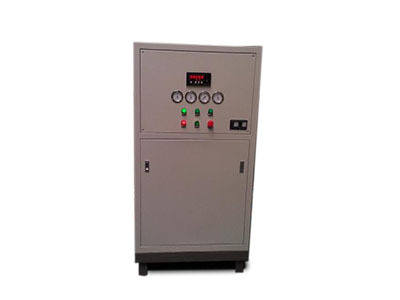 Other kind of nitrogen generator such as Membrane Nitrogen Generator is also available. The technology of air-to-nitrogen production with the use of adsorption processes in nitrogen generators are widely applied at industrial facilities for the recovery of high-purity nitrogen. The principle of pressure swing adsorption nitrogen generator is based on the different adsorption rates of carbon molecular sieve with various gas mixture components. Under certain pressure, the carbon molecular sieve could absorb oxygen and leave nitrogen, then release the oxygen to air and collect the nitrogen. High purity nitrogen can be produced by repeating this process.